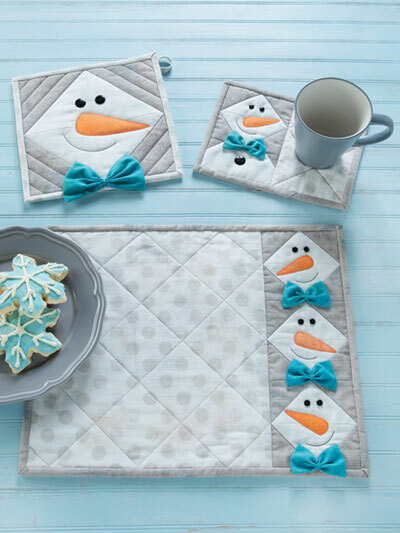 A smiling snowman to make the season bright! 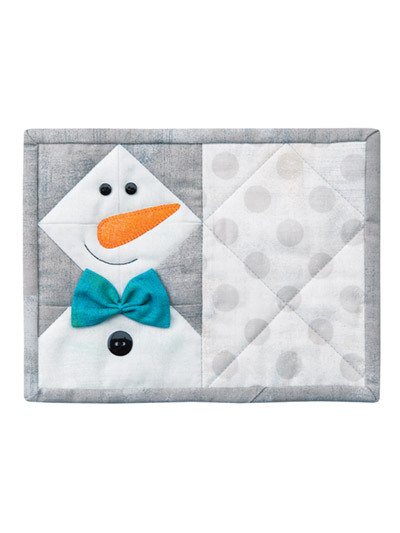 This happy guy is easy to make and fun to have around the house. 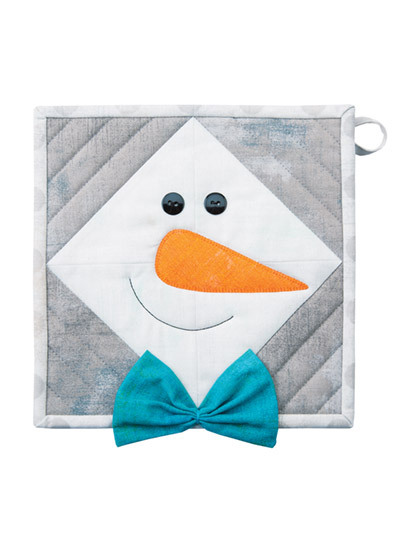 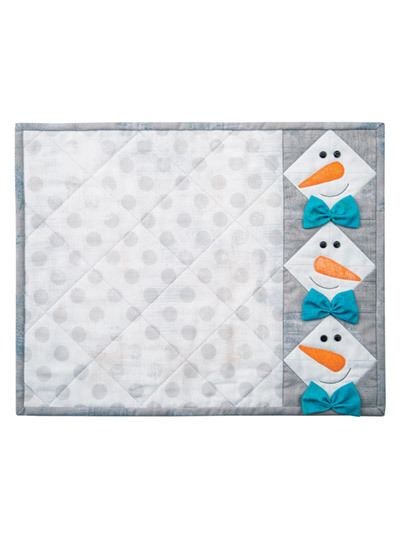 The snowman head is made from half-square triangles with an appliqued carrot nose, button eyes, and a perky bow tie. 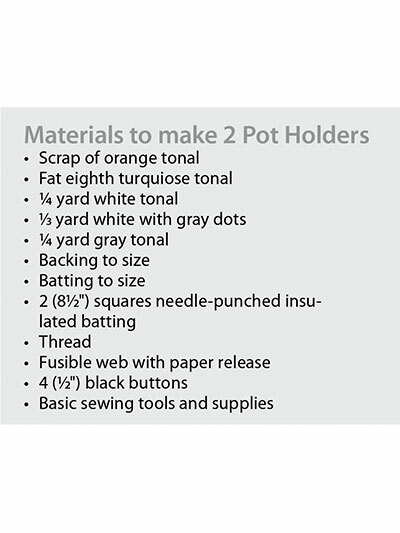 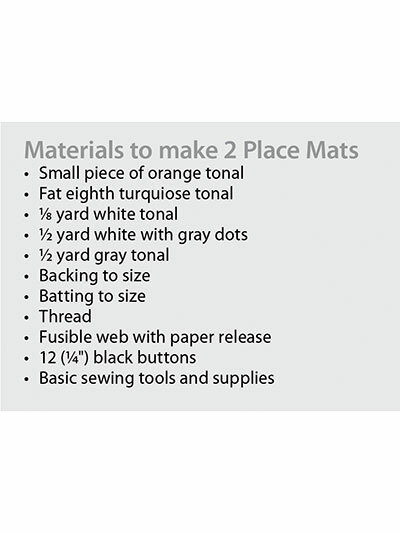 Comes with pattern for place mats, pot holders and mug rugs. 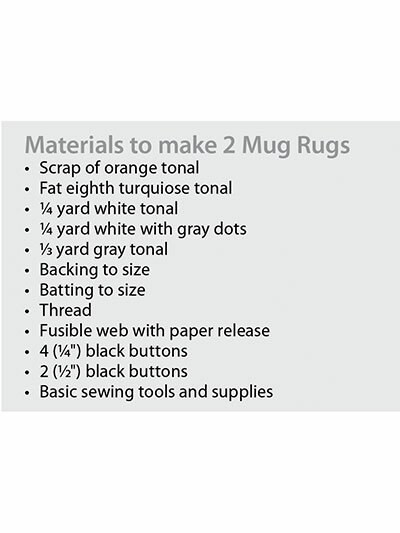 Place Mat Size: 15" x 12"
Mug Rug Size: 8" x 6"